That drive for exploration has stayed with her, from her time growing up in Bogotá, Colombia—studying economics at Universidad de Los Andes and working briefly for the Banco Bilbao Vizcaya—to her decision to travel to the United States in 2000 to earn an MBA from the University of Michigan to, shortly thereafter, her acceptance of a position with Cargill’s Corporate Strategy and Development group. It was, in fact, the food and agriculture company’s international reach that first attracted Cruz. “I saw in Cargill the opportunity to work for a global organization with a strong focus on ethics and integrity—and a company that is committed to attracting and developing top talent from around the world,” she says. Today, Cargill, the largest privately held company in the world, has about 150,000 employees in 70 countries, and it has taken Cruz and her family around the world, including stints in Canada, Costa Rica, Nicaragua, Brazil, the United Kingdom, continental Europe, and a few US states. As she’s climbed through the company’s ranks, she’s had numerous opportunities to see its business ethos drive social change and improve cultural understanding both within the company and beyond. As she has worked her way toward her current position as corporate vice president of corporate strategy and development, she has led or worked with teams that have scouted acquisitions in Brazil, developed integration plans in Europe, integrated a large poultry company in Costa Rica, led an animal nutrition business in the United States, built business relationships with key customers across Canada, and celebrated several other corporate achievements. Cruz witnessed this philosophy firsthand during her time in Nicaragua, where Cargill has been active since 2000. Because Nicaragua is the second-poorest country in the Western Hemisphere, Cruz and other company leaders worked closely with its government to increase the productivity of local farmers and improve food security by growing and providing safe, affordable, and nutritious poultry products. Cargill and the Cargill Foundation have additionally committed to providing $13 million in grants to fund several programs focused on food security, including one through CARE USA that aids places such as Nicaragua. In 2015, Cargill also invested in a new 68,000-square-foot storage facility to grow its meat business in the country. Although Cargill Meats Central America already provides nearly 65 percent of the poultry consumed in Nicaragua, the new space will help meet growing demand. Furthermore, by replacing outdated warehouses, the company is satisfying international safety standards, lowering costs, and providing more local jobs. That commitment to safety and the development of sustainable supply chains extends to the farmers who work with Cargill, its customers, and its providers. 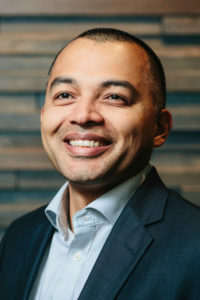 “We want our partners to be as efficient and competitive as they can be, and we leverage our size and resources to help them optimize their supply chains and win in the market place,” Cruz says. Today, Cargill is harnessing the power of big data and analytics to deliver more actionable results. In 2016, the company developed a digital risk-management tool for farmers that examines past sales so that farmers can forecast future profits. The application has become an acclaimed tool for Cargill’s North American supply-chain partners and will soon expand to other regions and businesses. Cargill also helps its farming partners in other ways. For instance, when global currencies shift, the company responds. That happened in 2015, when Brazil’s currency saw a steep decline. Cargill offered farmers there the opportunity to buy fertilizer in US dollars and sell their grain to the company in the same currency to protect them from volatile exchange rates. In addition to food security and risk management, Cargill has prioritized nutrition and sustainability, focusing on land use, climate change, water resources, and farmer livelihoods. Last year, as part of its effort to eliminate deforestation from its supply chains, the company launched a program to monitor its footprint using satellite imagery. Additionally, Cargill scientists have figured out how to keep poultry healthy using feed that incorporates essential oils instead of often-criticized antibiotics, and they’ve developed a way to recycle asphalt roads using plant-based products, cutting down on greenhouse gas emissions and saving money for local governments. Cargill stays on the cutting edge of the agriculture industry by maintaining a commitment to diversity and by creating a thriving work environment. 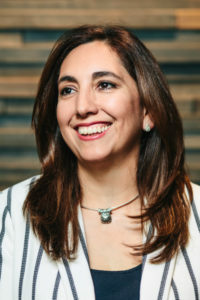 Cruz, who works with Cargill’s top leadership to develop the company’s long-term vision, is now in a position to give others the opportunities she has had at every turn. Twenty-four nationalities are represented in her eighty-member global team, half of her leadership team is female, and sixty percent of those women are from diverse ethnic backgrounds. Read a letter from Cargill CEO David MacLennan. The practice is natural for Cruz because she has the support of Cargill’s senior leaders—and she can follow their example. “Our CEO, David MacLennan, is highly committed to inclusion and diversity, and he knows what a diverse workforce can bring to the company,” she says. 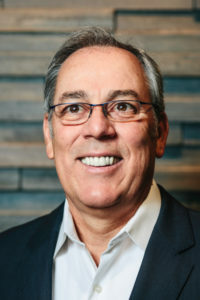 MacLennan, company president and CEO since 2013, is known for holding informal employee meetings, soliciting input, and engaging with internal stakeholders such as the Cargill Hispanic Latino Council, one of several business resource groups within the company, along with the Pride Network for LGBT people and their allies as well as other groups for women and veterans. It’s that ongoing ability to discover and learn that has kept Cruz at Cargill for more than a decade and a half. “I thrive with complex and challenging experiences, and I am passionate about learning new cultures,” she says. “Cargill always provides opportunities for me to grow and challenge myself.” She learned British business etiquette to work in the UK, for instance, and basic Portuguese—in six months—to succeed in Brazil. How do you use your position to help fulfill Cargill’s purpose of nourishing the world? One of my main activities is to provide financing to customers in Latin America. We provide funding for purchases or sales of Cargill products. That’s how we provide our customers with alternative sources of financing and access to international market financing, which creates value in their local markets and, in turn, a stronger overall food system. In what ways do you ensure your department maintains Cargill’s commitment to diversity? Our business leader has ingrained the importance of diversity in my department’s culture. We believe that diversity in all its forms is crucial to our success. That means diversity of thought, gender, age, sexual orientation, and so on. When we fill positions, we make a priority of gathering a diverse pool of candidates. But the process doesn’t stop there. We also provide the resources to support our employees’ development, engagement, and career opportunities. What are some of the big opportunities you’ve had during your tenure at Cargill? My roles in Americas Marketing Group, Risk Management and, currently, Trade and Structured Finance have given me challenging and rewarding experiences. I’ve had the opportunity to grow as a professional as well as having a family. Covering markets in Latin America, I have been able to use my language skills and cultural knowledge, and I was also given the opportunity to live in Geneva, Switzerland, for four years, where I covered Europe, Middle East and African markets. I never have stopped learning. I lived in different parts of the world and served different markets. It’s been amazing to be able to build experience in different industries and transfer that knowledge and support the development of teams in other places and businesses. In the past year, what is one exciting project that you’ve led or been a part of at Cargill? Why? I have enjoyed being a part of strategy development and implementation for our businesses. I get energized imagining the future, figuring out ways to grow, and then seeing how we get there, correcting our path if necessary. How do you use your role to help fulfill Cargill’s purpose of nourishing the world? I lead a team that partners with our executive team (Cargill’s top leadership), delivering a wide range of financial and data-centric analysis. We look at capital, investments, earnings, and the like—the things that underpin our ability to engage with our four key stakeholders: customers, employees, communities, and our owners. Diversity comes in many forms, but one I am very passionate about is gender diversity, not only because my wife has worked the entire time we have been married, but also because one of our twins is a girl. When I receive candidate slates that are not diverse, I push back and essentially refuse to move the process forward. Beyond my own team, I get involved in all sorts of recruiting for Cargill and try to ensure that we continue to attract diverse candidates. We are a global company, so this is critical. All the research shows diverse teams perform better. I’ve partnered with a business to negotiate, form, and integrate a global joint venture that is now one of the leading sugar players globally. For a complex divestiture, I’ve been able to work directly on behalf of our CEO and CFO. I’ve also partnered with senior leadership on our every-other-year strategic review for the Board of Directors. Lastly, I joined the Board of Directors of one of our wholly-owned subsidiaries, and I work closely with the rest of the board and management on their transformation. I had the opportunity to partner with a grassroots team to bring to life the critical capabilities that we believe will enable us to win in our markets in a one-day educational blitz. We attracted hundreds of colleagues and engaged in a way that hadn’t been done before at Cargill. How do you lead Cargill Salt to help fulfill Cargill’s purpose of nourishing the world? Salt’s vision is nourishing people and enhancing lives every day. Thus our business plays an important role in fulfilling Cargill’s purpose of nourishing the world in a safe, responsible and sustainable way. Our product portfolio fits well: Salt is essential for life—both humans and animals need it. Salt makes food safe and taste good. It makes water soft and roads safe. In what ways do you ensure your business maintains Cargill’s commitment to diversity? We do that in three complementary ways. First, having a clear inclusion and diversity vision for the Salt Group: “Our organization is an inviting place where I am respected, valued and appreciated for being my true self. By encouraging the same for others, I am contributing to our collective success.” Second, by modeling this commitment from the top down, action on our words. Third, by looking outside and learning from others who are good at this. We are making progress, especially on gender diversity, but we still have a long way to go. I have had many, from leading business at a young age (flour milling in South America) to leading global businesses such as Cargill Health and Nutrition, where we developed new-to-the world products, and now a mature yet vibrant business with the Cargill Salt Group. I also treasure the opportunity I had to serve in many significant company initiatives, such as the Cargill High Performance Leadership Academy, the Business Conduct Committee, and sponsoring the Cargill Women’s Network. But the biggest opportunity has no doubt been traveling and living in different parts of the world, and meeting great professionals and fantastic people who aim to make the world a better place. This past year, I have had the privilege to serve on the University of Minnesota’s Carlson School of Management board of overseers, representing Cargill. It has been a fantastic learning opportunity, both personally and professionally.